The Royal Budha is a leading fine dining Thai restaurant that is located within Holiday Inn Hotel, which is to be found in Al Barsha, Dubai. This restaurant truly reflects the flavours, spices, citrus and texture of traditional Thai fare that will surely chime all the taste buds of the guests. Moreover, the extensive range of dishes in the menu of this eating place makes it even more alluring for the foodies, who enjoy variety. In addition to this, elegant décor and beautiful surroundings create a perfect environment in which guests can savour the Thai delicacies with loved ones or friends. 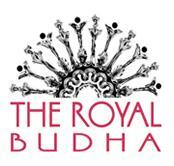 The Royal Budha is the name of a culinary journey that will take the guests to the world’s most gastronomically refined country, Thailand. This unique quality makes the Royal Budha different from the rest of the Thai eateries in this city. On top of all the specialties created by the Sak Phon takes the cake away from the rest and make this restaurant an exceptional point to take pleasure of delicacies of Thailand. To enhance the flavours further, guests can order alcohol with their food from the wide assortment of this restaurant. Moreover, booking facility is also available at this eating venue to avoid last minute hustle and bustle. This restaurant serves dinner only therefore it opens at 7:00 pm and shuts down its operations around 11:30 pm on daily basis. Holiday Inn Dubai, Sheikh Zayed Road, Al Barsha, Dubai, United Arab Emirates. 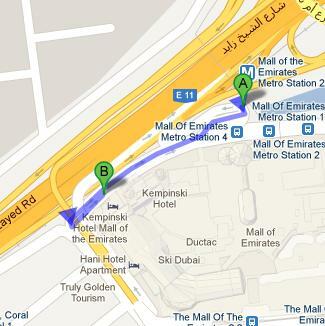 Mall of the Emirates Metro Station 1 is 600 meters away from the Royal Budha in Holiday Inn Hotel on Sheikh Zayed Road. This makes it a walking journey of about 7 minutes, if a commuter heads southeast from this metro station, then turns right and later makes a sharp left turn in order to get to the destination that is located few meters away on the right side. Mall of Emirates, Saleh Bin Lahej Bldg 2 - Dubai bus stop is 210 meters away from the Royal Budha, making it a 3 minutes journey by walk. Bus user should head northwest from this bus station and then turn right to locate the destination on the right side after covering some distance. Bus number 93, F30 and F33 serves this bus stop, so you can get there by taking any of these buses. See map for directions.